Based on the popular MGF the MG TF offered a new facelift and improved equipment levels. The free-revving engine is mid mounted giving balanced handling and confident roadholding. The TF had conventional sprung suspension rather than the hydra-gas system of the F, this gives an improved cornering ability however the ride is no longer as smooth as the previous model. 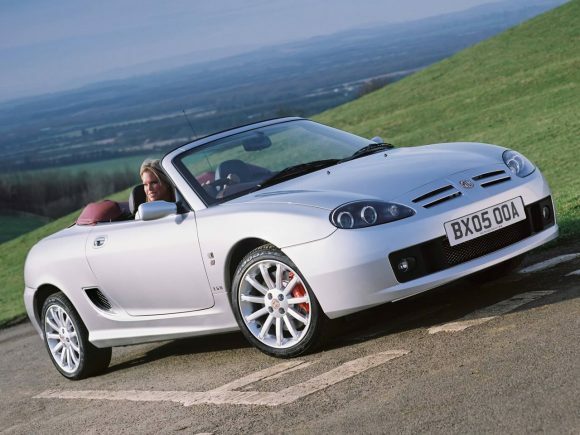 For a mid engined sports car the MG TF is cheap and easy to live with while luggage space is surprisingly good. The final models received a glass rear screen. The smaller 1.6 version of the K-series engine was added to the range to compete with the entry-level Mazda MX-5. It lowered the point of entry for this mid-engined roadster at the cost of some performance but helped to bring in some extra customers. 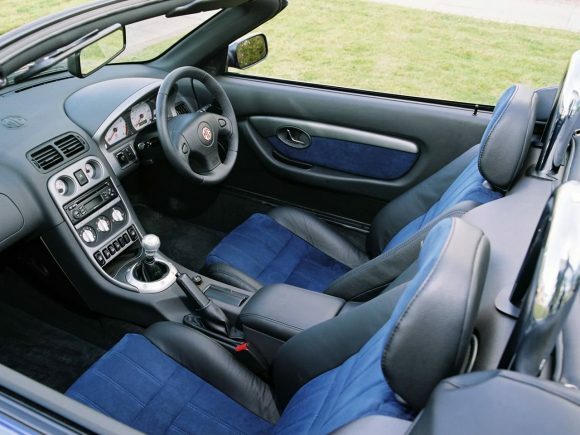 The Stepspeed sequential gearbox adds an extra level of novelty to this popular roadster. 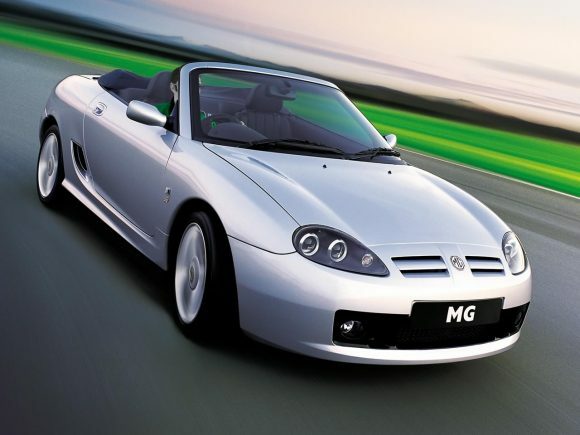 For the second life of the MG TF 135, production of the much loved roadster returned under Chinese ownership. The cars remained in construction in small numbers at the Longbridge UK factory. Good levels of trim and equipment including a Clarion ICE system, combine with a highly competitive price tag. The MG may have been a little dated but it maintained the timeless appeal of a roadster and it is a lot of fun for the money. Production ended by 2011 with the inventory slowly running out. 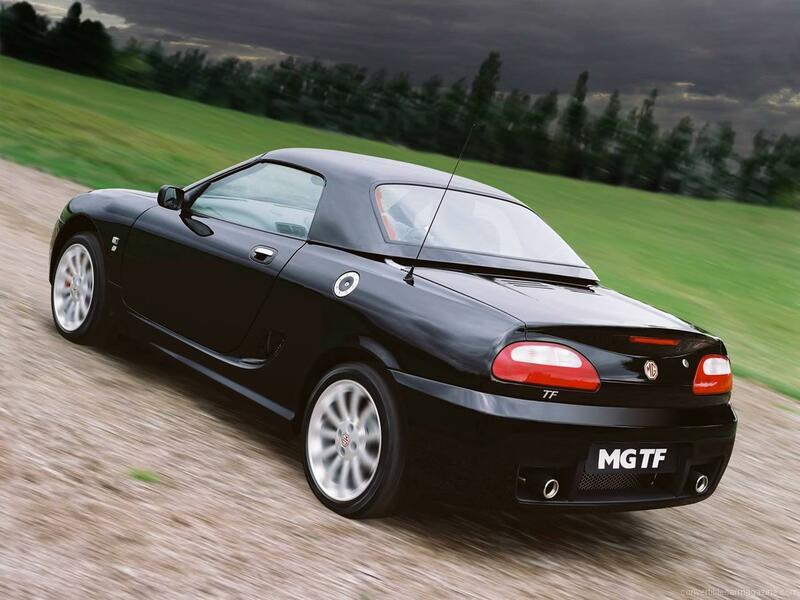 The MG TF 160 also known as the Trophy 160 was produced for a limited time as a halo model offering extra performance. Driving fans will enjoy the power gains from the VVC variable valve timing system. Production of the MG TF returned to the Longbridge Factory in Birmingham although at a small scale. 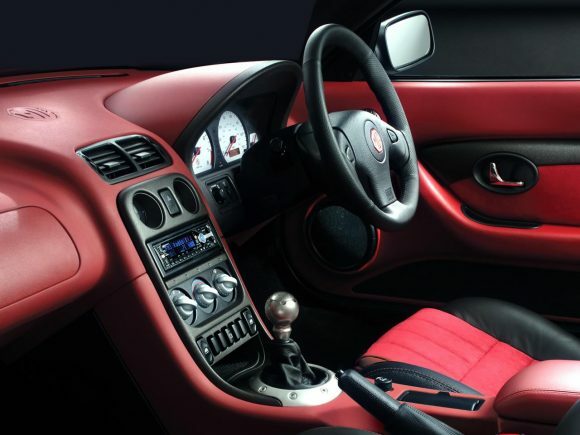 The new model featured numerous specification and cosmetic changes and, as its name implies, the LE500 version is a special launch edition, limited to only 500 units in the UK, each individually numbered and with an enhanced specification. The roadster features a restyled front end with a sporty lower grille with integral fog lights, revised twin upper air intakes, new headlights and a fresh bonnet. The TF LE500 comes with a host of standard features including hard top, rear parking sensors, leather seats and air conditioning, providing a very high level of specification at an extremely competitive price. Do you drive a MG TF? Would you recommend it to others? Join the conversation and let us know what you think of the car. 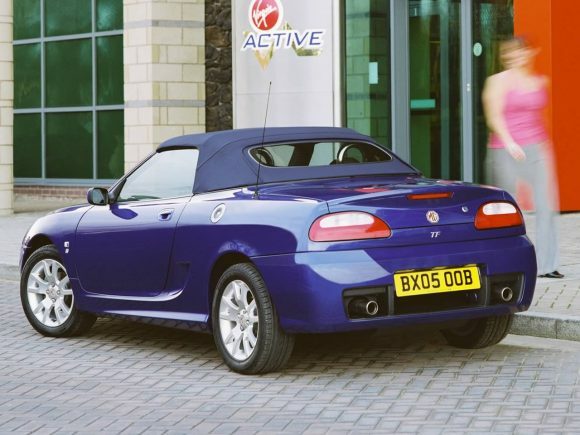 This MG currently has 5 owner reviews. I do own and drive an LE500. It has proved to be the most disappointing car purchase I have made in nearly forty years of motoring. What a major disappointment. Apart from three recalls in 18 months, it has also been back for a whole host of problems carried over from the earlier Rover version including poor heater control and difficult reverse gear selection (neither problem fixed). It has also had to be re welded behind the dashboard on the anti scuttle shake frame (many LE500 have had to have this repair). On top of all of this the paint finish has problems as well. 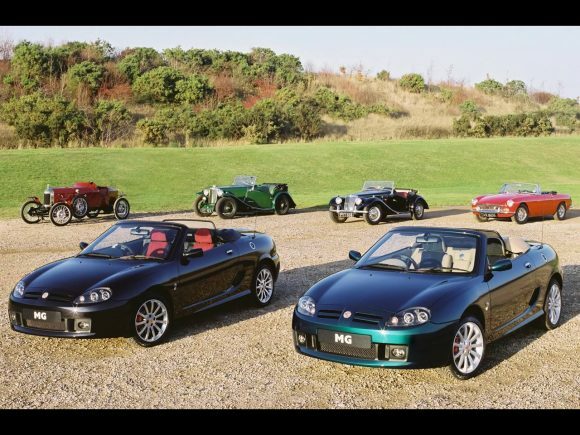 I really thought that the “new” employees of MG would have realised they had been given a new lease of life and would try their very hardest to produce a world class product. I couldn’t have been more wrong. Oh, and don’t start me talking about panel gaps……….. I own and drive an orange MG LE 500 which is, in my opinion, the best roadster around. Excellent and attracting body shape, fast car, super interior, moderate fuel consumption. In 2011 I travelled over Europe i.e. Switzerland, Italy and other countries. Everywhere everybody was looking at that car. Sometimes I was feeling a bit uncomfortable in entering the car after a cofee break, either in towns than along motorwys, because there were always persons around the car looking at it. And that was not happenihg with other similar sport cars. The LE 500 is not passing unobserved at all. Great car indeed. The best roadster of the word. I own an Ignition Blue TF135. I should explain that I am getting on in years and at various times since I was 18 years old I have owned an Austin Healey Frogeye, three MG midgets, a Triumph Spitfire, a Triumph TR6, a Mazda MX5 and most recantly an MGBGT. I loved them all. Some were a challenge to drive well, some were unreliable, but their character made up for it. I purchased the MGTF because I like roadsters and the TF has fantastic handling and a very willing engine. In short it is fun to drive. Why are some of the ‘old boys’ like me, so dismissive of it? It is a super little car, a real MG and at the moment they are as cheap as chips. What’s not to like? Enjoy!